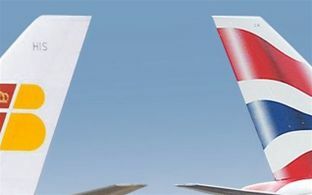 The British Airways - Iberia merger has been completed with the new holding company, International Consolidated Airlines Group (IAG), being listed for the first time on the London and Madrid stock markets today (24 January). This merger will bring with it new challenges for talent and leadership development in light of an enlarged and multicultural work environment. Kim Reid is Head of Leadership and Talent Management at British Airways. She will be a speaker at the marcus evans Talent Management and Leadership Development Conference taking place on 31 January – 1 February, Barcelona. Operating in an incredibly changing and unpredictable environment on a daily basis, the airline industry can be adversely affected by a range of unforeseen natural events as was evident in last year’s ash cloud flight cancellations as well as the more recent snow disruptions across Europe. “The impact of that on our business is huge – in the latest disruption caused by the snow we lost £50 million at the end of December,” according to Reid. The marcus evans Talent Management and Leadership Development Conference will take place on 31 January – 1 February, Barcelona.